With so many walks through wood and farmland and Llansteffan beach jiust around the corner from The Dog House, we could happily spend all our time on Dinas Farm. However we have been known to occasionally wander further afield. Here are the places we’ll be heading this spring to keep the dog sniffs fresh and our bodies and minds sharp. Arisaig Beach on the West Coast of Scotland is a lovely sea loch with beautiful white sand. On a sunny day you could easily be in the Caribbean. Spring is the absolute best time to spend time here: so lovely and quiet with hardly anyone around. 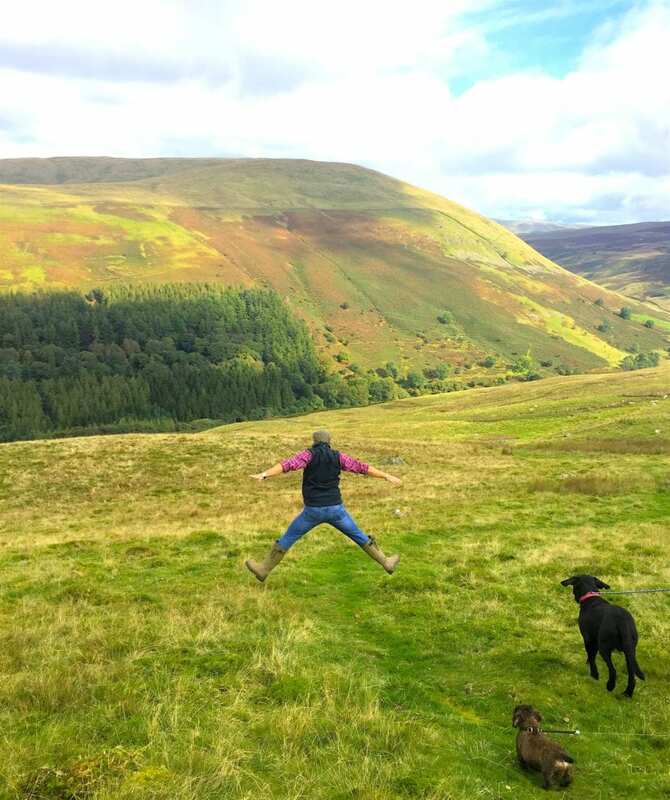 Being in the Yorkshire Dales, encapsulates all the wonder of being outdoors. Huge skies, undulating hills and unrelenting, breath-taking scenery – such a special place to be. It’s truly hard to beat. The incredibly scenic Derwentwater Walk in Keswick will always be my favourite. On its own it’s a long but very easy-going flat or gently sloping walk. You can incorporate some bigger hills, such as Catbells for more of a challenge or if you don’t have time for a full day of rambling, cut out parts of the loop by catching the (dog friendly) Keswick Launch at one of its 8 stops around the lakeshore. There’s also plenty of safe swimming spots for the dogs (or you, if you’re feeling brave!) and many other points of interest such as the Chinese Bridge and the National Trust’s ‘Entrust’ sculpture. The views from the Ruskin Memorial are magnificent too! My favourite place is Oxwich Beach in the Gower. There is simply no other place better for walking your dog. Dog-friendly all year round, it’s perfect for spending some quality time together. One of my absolute favourite places for dog walks is Richmond Park. It feels like you’re far removed from the capital when you’re surrounded by so much open space and nature. It’s perfect for letting the kids run free and our dog (Fudge) sniff and meet new friends. It’s imperative that we make sure she’s on her best behaviour around the deer however, especially in Rutting season, should we wish to avoid a Fenton situation! Wherever you choose, treat yourself to some time in nature and your dog to a well-deserved day out after a long and cold winter. Spring into action and see what the countryside, cities and beaches have to offer. You’ll be very glad you did.